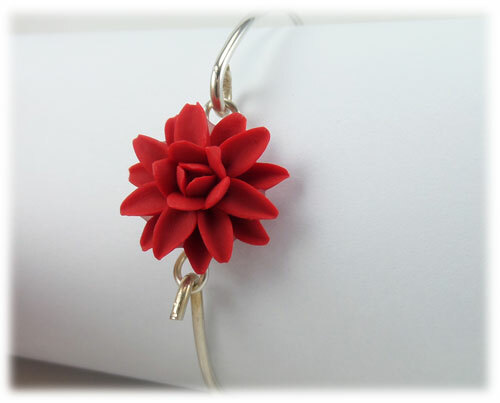 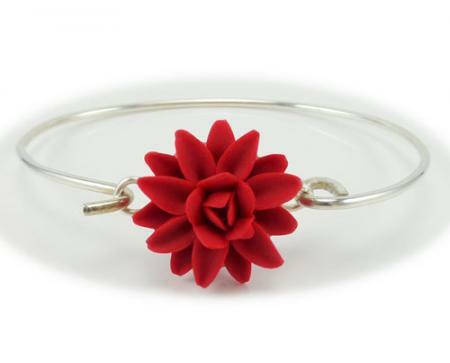 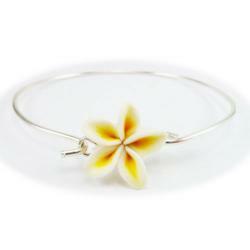 Handcrafted Dahlia 925 sterling silver bangle bracelet. 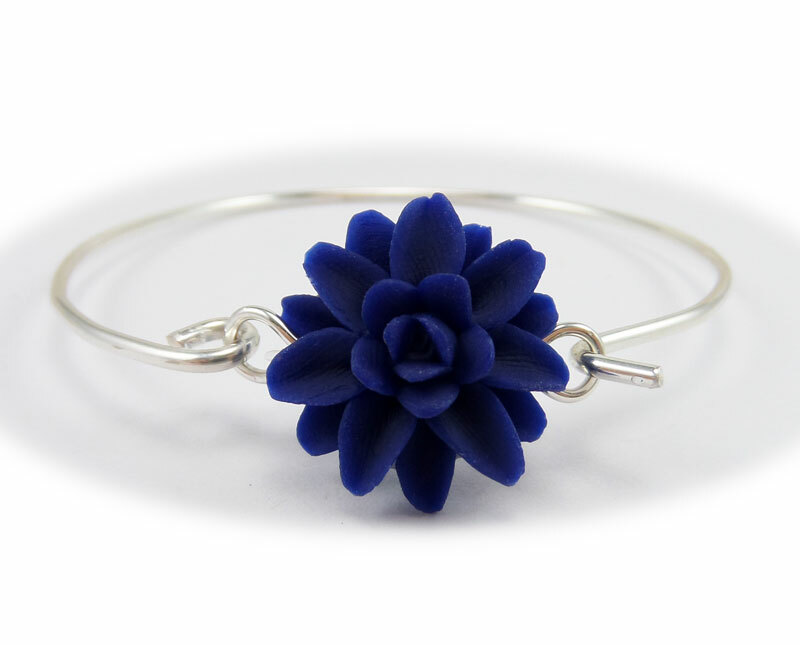 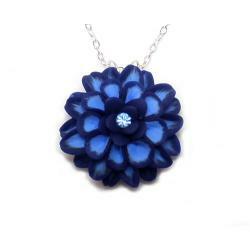 The Dahlia is available in many colors and is featured on a thick 925 sterling silver bracelet. 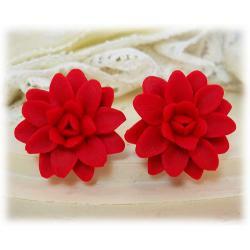 Dahlia flower is approximately 18mm around. 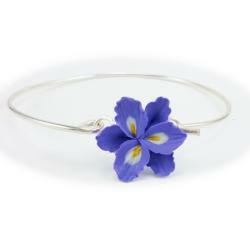 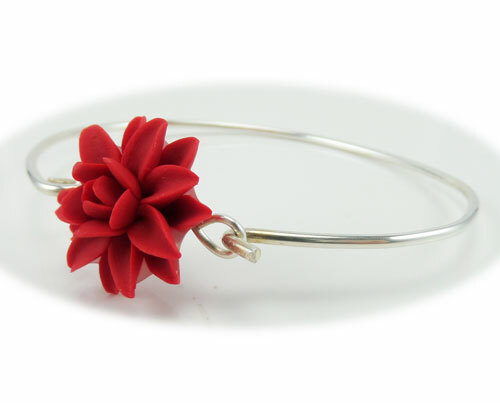 The bracelet hooks at the flower so it does not need to slip through the hand. 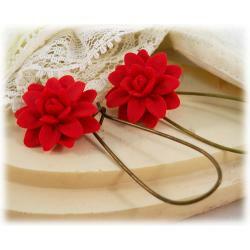 Choose from several sizes.